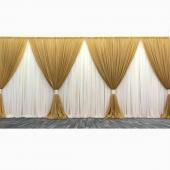 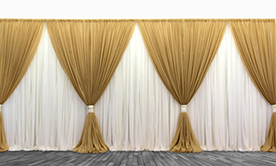 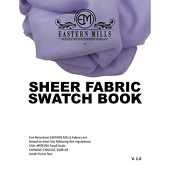 We offer beautiful criss-cross curtain backdrops designs that will take your decoration to the next level. 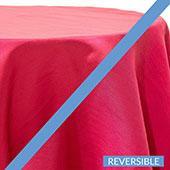 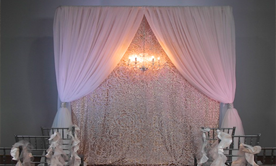 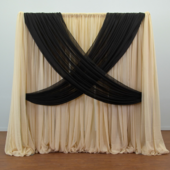 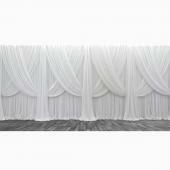 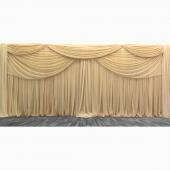 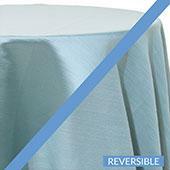 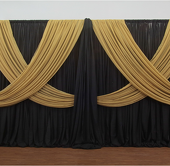 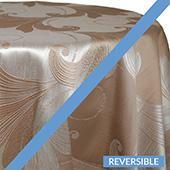 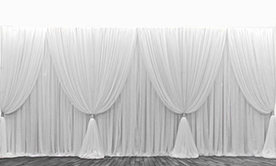 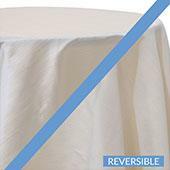 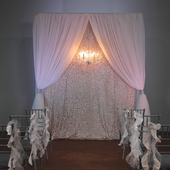 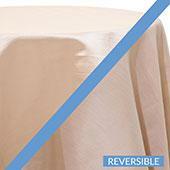 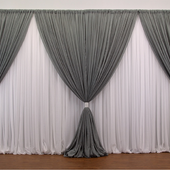 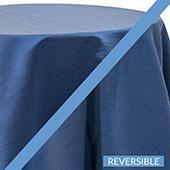 Our Deluxe Double Valance backdrop will give your wedding ceremony or head table a look of classic luxury. 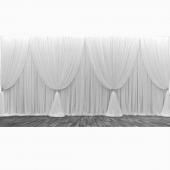 Make a statement at your next event by including a Deluxe Curtain backdrop with our Floral Felt Backdrop Overlay. 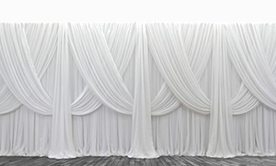 Our mixed custom backdrops are the perfect way to transform and elevate the decor at your wedding venues. 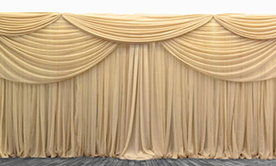 This is one of our most popular backdrop premium designs. 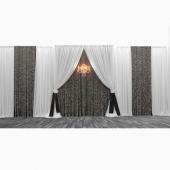 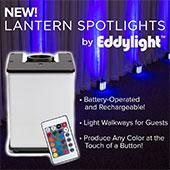 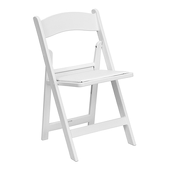 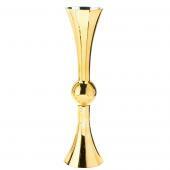 Add a touch of elegance to your next event. 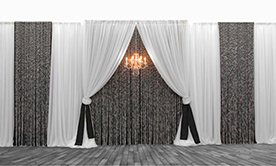 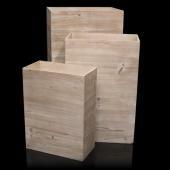 Style up your room with our elegant and beautiful premium up and over backdrops.